Sketch comedy is an art, and Comedy Central’s Key and Peele is at the top of its game. 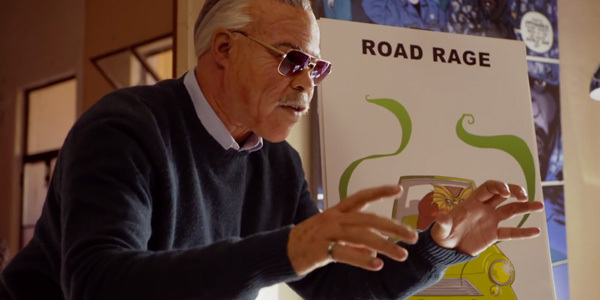 This week, the sketch comedy series created a mockery of Stan Lee, who pops up at the Marvel Comics headquarters to pitch his latest ideas. The characters may be new, but I wouldn’t exactly call them updated. You can check out the funny sketch, below. While early on the Marvel team seems pretty stoked to have Stan Lee, the media mogul who has written, edited, published, marketed and been a big face of the Marvel franchise for quite some time, drop in, their happiness is short-lived. 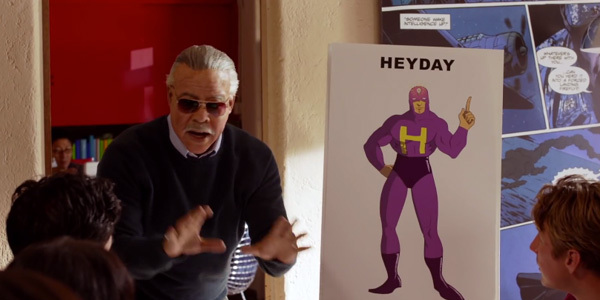 Soon, Lee begins pitching his new ideas for superheroes and villains, and they all seem to have traits from a bygone era or personalities that would appeal more to the senior citizen crowd than today’s youngsters. How about Road Rage, a man who uses a radioactive horn, terrifying the poor innocents (see the elderly) who drive slowly on the freeway? What about this hero, a man who is perpetually stuck in 1982, reliving his glory days? 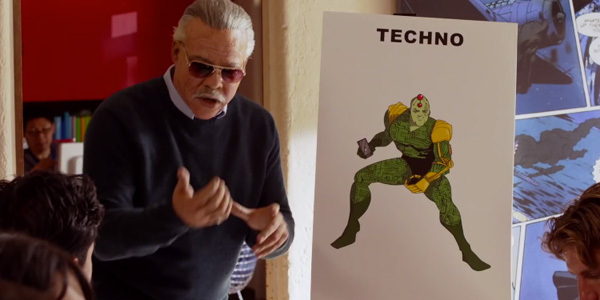 Or Techno, a superhero that is great with computers and actually crushes it with any technological device? It’s actually pretty discomfiting to sit through all of the old people stereotypes, but button-pushing comedy is often what Jordan Peele and Keegan-Michael Key do best. Earlier this season, the two comedians signed on Ty Burrell for a sketch that poked fun at Nazis, Adolf Hitler and death during WWII. The two men have even taken a hilarious but uncomfortable angle on the otherwise family-friendly sitcom Family Matters. And really, the direction of this Stan Lee sketch is pretty spot-on. Everyone loves Stan Lee. He wrote and conceived so many of the beloved heroes we still celebrate and look up to today. But almost all of those contributions were decades ago. Now, he’s more of a loveable mascot who isn’t contributing as many new ideas as he is relentless hyping the brand. Maybe that’s because he’s basically retired and doesn’t have anything else to add. Or maybe, hilariously, it’s because he’s pitching Marvel executives like there’s no tomorrow and they’re quietly shooting him down like in this sketch. Regardless, Stan Lee deserves every ounce of remaining publicity he gets because we all love Spider-Man, Thor, The Hulk, the X-Men, Iron Man and the Fantastic Four.